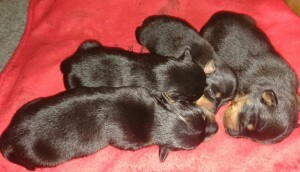 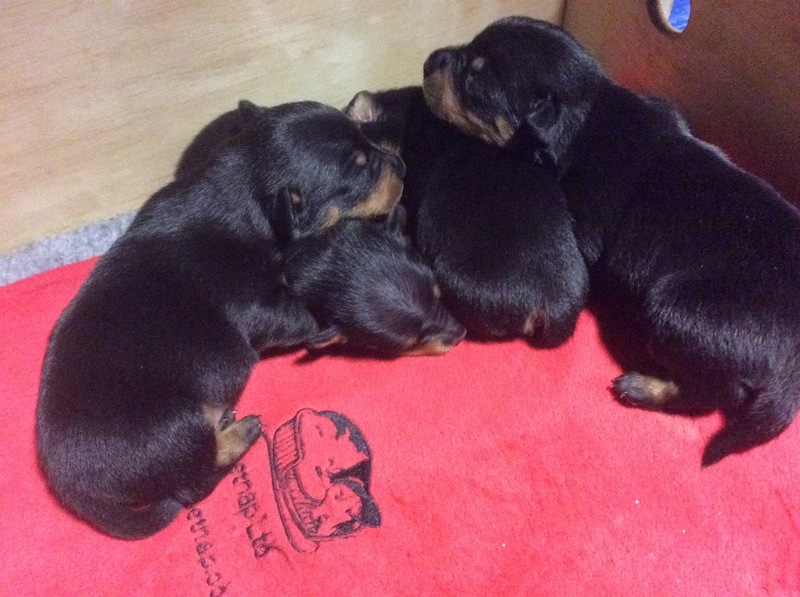 Our third litter of Lancashire Heeler puppies arrived on 6 December 2017. 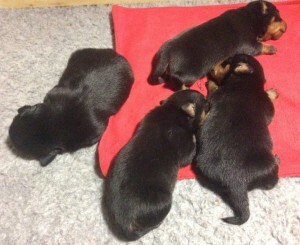 Pickle is now the proud mum of one boy and three girls who are all doing well and gaining weight. It wasn’t such an easy whelping as her previous litters but she is a wonderful mother and so protective of her little brood. 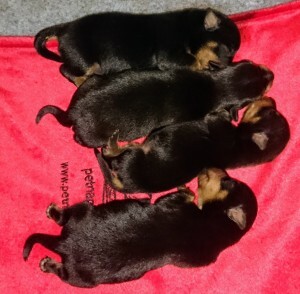 They are being brought up in our study and will have a couple of weeks’ peace and quiet in there before being brought out into the sitting room and joining in with the rest of the family.